Happy Grammy Day! Or something... I donno... seems like in China, they have a celebration everyday, for something. So to get in touch with my children's Culture, I'm having a Happy Grammy Day party! So far, it is me, Facebook, and NBC Grammy coverage! And since I'm absolutely sucking at getting posts up lately, I figured 'Hey, why not just post some of my Facebook conversations about the Grammys'! ... okay, even now, it doesn't seem like a good idea. But 2 minutes when I started this, it did. Friend: The former American Idol girls, Kelly Clarkson, Carrie Underwood and Jennifer Hudson are beyond incredible!! Pursue your dreams! Me: I want someone to make me a ham sandwich... one day... oh one day. Me: ‎*looks at the sleeping wife* Yes, sometimes they do come true... *pokes the wife* ... but apparently, not tonight. Maybe tomorrow... *wife mumbles something about 'getting my own darned sandwich'* ... or the next day. Dreams are a funny thing aren't they. Set them too high, you might be disappointed. Set them too low, and you never will full fill what you are capable of. And some of us, don't even know what dreams we have yet. I'm still pretty sure that neither of my adopted kids were dreaming of ME. Maybe they dreamed of having a family, maybe not. Maybe they were happy where they were. Love the baby pictures! So cute, not crying... lovely! I got some great pictures from Bings Foster Family this past week. I mean, REALLY good pictures. 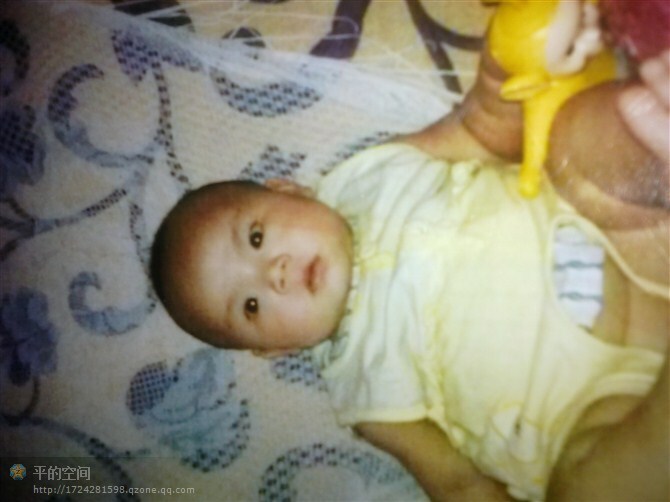 Some even from when he was young-young... like a baby young. Which is amazing! Because we have none of these kinds of pictures for Ping. But in the midst of me thumbing through all these pictures, it dawned on me "Hey, he was happy!". He looked like he was having a blast with his Foster Family. And I think they thought they would have him forever. I don't know how this will come across, but I was almost sad that he was happy, and that the foster family was so great... I guess no matter how hard I try NOT to compare our son's new life against he old, I still do. And I REALLY want to feel like his new life is better... dose that make me a bad parent? But I guess, the system works. Bing goes up for International Adoption, and he gets adopted. 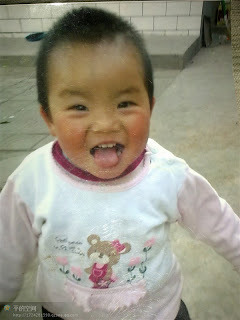 Now, the Foster Family has Fostered another Little Girl. So that means that 2 children now have families instead of one. This is a good thing... I guess... but still, I'm not sure that Bing was really "dreaming" of me. 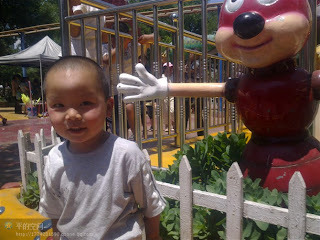 I think he was having a pretty good time in China with his Foster Family. Now, before that sounds all mellow dramatic and sad, I go back to "and some of us, don't even know what dreams we have yet." I do believe our family is a dream-come-true for Bing (in a humble way). Not that we were the ONLY dream. I believe a great many families could have been a 'dream-come-true' for Bing, including his Foster Family. But he is our dream come true as well. And one day, when he looks back on his life, I hope that he can look back and say "Yes, all my dreams have come true." Hopefully, some of those dreams will be because he was our son. Oh, and a big shout out to my Fake-Brother-In-Law, whom he and his wife have begun the Adoption Journey as well!!! YAY! More dreams coming true! Dreams are funny things, aren't they. It's great that you can look back on the dreams that have come to pass, while at the same time looking forward to the dreams that may come in the future. Perhaps... one day... you will get that ham sandwich! And if you're really fortunate, it'll have Bacon Marmalade on it! Keep dreaming those dreams, big or small. For one day, we will wake up! I truly admire the love and hope you have for you children! I an adopted daughter from China and every time her birthday rolls around she gets so depressed and isolates herself from the rest of the family. I can't help but think she wishes she were with her real parents. Any advice? I am struggling to understand why she feels so alone, so I am using sites like http://onlineceucredit.com/edu/social-work-ceus-iap to better understand what she might be going through. Stop Speaking Chinese to him!